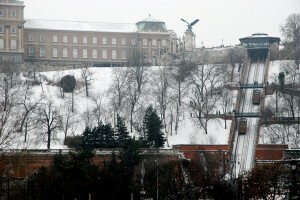 30 December in Budapest is all about getting ready to say our farewells to the old year. Some people try to relax before NYE, some has already started partying. 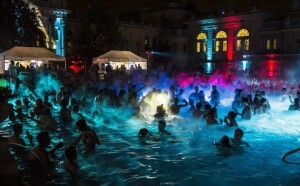 The definite highlight of this day is the chance to spend the night of 30 December in the warm thermal pools of Szechenyi Baths and welcome the last day of 2018 while listening to amazing music. A simply brilliant concept, combining the hot, relaxing waters of the outdoor pools of Szechenyi Baths and a nightclub. If you are in Budapest on 30 December then you should never miss the New Year Bath Party, but be careful, tickets sell out like hot cakes, so don’t hesitate to book early! Budapest is called the ‘City of Baths’. Hungary is famous for its thermal springs, and Budapest is full of thermal waters with healing qualities. 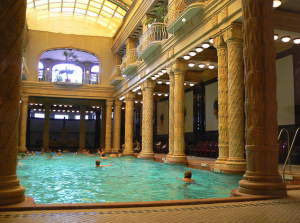 Budapest has a number of great spas and outdoor pools worth visiting, but Szechenyi Baths, Gellert Spa, Lukacs Baths, and Rudas Baths are the most well-known ones. By clicking on any of the Budapest baths listed above additional info along with price, opening hours, useful tips can be found. Have you ever been on a gala concert offering a truly unique entertainment with a special Hungarian flavour and a wide repertoire from gypsy and operetta music to Hungarian-related classical music? 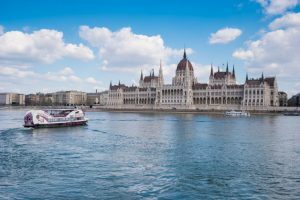 You can enjoy the famous Danube Symphony Orchestra and masterpieces written by Berlioz, Liszt, Lehar, Liszt on the Budapest Gala Concerts and then, should you wish, you can even go on a romantic late night river cruise. Traditional concert from the renowned 100 Member Gypsy Orchestra at the Budapest Congress Center. Music by Bizet, Brahms, Strauss, Tchaikovsky and Liszt, the evening begins with wine tasting and a folk dance show. The concert can also be booked with a delicious dinner. A river Danube cruise is always a memorable event, irrespectively of the actual season. A lunch cruise, a simple cruise with drinks or a sightseeing cruise with an audio guide, there is a wide range of day cruise options available. As for the evenings, tickets for the dinner cruises almost always run out days before the date of the cruise, as many people wish to ensure a relaxing evening or night with the loved ones while admiring the UNESCO World Heritage Sights of Budapest and the most famous landmarks, buildings of the city (the Parliament, Buda Castle with the Royal Palace, the Chain Bridge and the other beautiful bridges). Get ready for an evening cruise and make the reservation long before. The Buda Castle District in Budapest is worth a visit. Packed with historic sights, medieval houses, charming streets and some really good cafes and restaurants, this area needs at least a full day to explore. What better way to discover the crooked streets then booking Castle tours in the Buda Castle District, or a 2h Budget Buda Castle Walking Tour. If you wish to spare your legs, try one of the Segway Tours in Budapest. Say goodbye to 2018 by visiting one of the traditional Budapest Christmas Markets offering quality gifts, cultural programs, good food and special winter drinks. Open: 10 am – 10 pm, with laser show every half an hour between 4.30 pm and 8 pm on the Basilica’s facade.